Failure to understand all of your living expenses. Assuming you will “somehow manage” when you no longer live with your spouse is not a plan, it is denial. Consider that the average couple is living on two incomes with one set of common household expenses. Supporting two households on the same amount of money, at least in the short run, is often difficult especially where children are involved. Don’t underestimate how much you will need to meet your monthly expenses and plan accordingly. Your attorney can help you to understand your legal remedies and potential obligations. Lack of access to your financial documents. During your marriage, you likely had bank accounts, loans, credit cards, retirement funds etc. You may be liable for obligations you long forgot about, especially if you have not been handling the finances in your relationship. Never assume a debt is paid and always verify. It is important to identify all assets and liabilities early on. This will help you to make that monthly financial budget, protect your credit and understand which marital assets and debts have to be accounted for in a divorce. Giving it all away vs. holding on to everything. Rarely are either of these approaches wise in a divorce. The former typically comes with guilt or frustration, while the latter can be driven by fear and pain. All are emotional reasons that are of little help in making sound legal and financial decisions. Don’t allow your emotions to drain your wallet. Your attorney can advise you in making reasonable and informed choices. Making decisions in a vacuum. 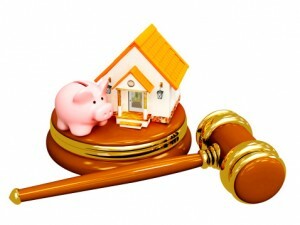 When dividing up your assets, it is important to look at how everything works together. Taxes, withdrawal penalties, and transferability can have a great impact upon the value of an asset. It is important to examine the costs associated with one asset versus another. Experienced professionals are essential to this process. These are just a few of the reasons it is wise to have professional legal advice when making such long term decisions that not only affect you, but also your children. The actions you take now will likely have an impact for years to come. As an experienced and expert divorce attorney, Lynn Fleisher will make sure you have all the information you need now to plan for your new future. For more information, contact Keenan, Ciccitto and Associates, LLP. Copyright © 2019 Keenan, Ciccitto & Associates, LLP | Website designed and managed by LMS Solutions, Inc.